The American Red Cross has created the Circle of Drowning Prevention. 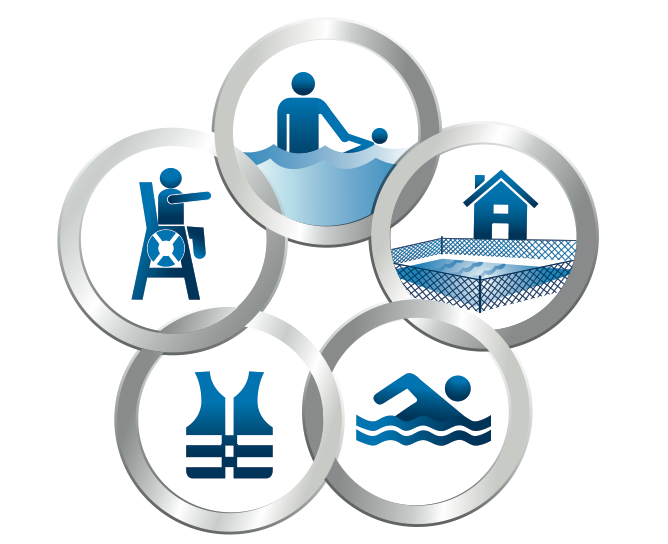 These 5 layers of protection can help prevent drowning accidents. Provide close and constant attention to children you are supervising in or near water. Fence pools and spas with adequate barriers, including four-sided fencing. Learn swimming and water-safety survival skills. Children, inexperienced swimmers, and boaters should wear U.S. Coast Guard-approved life jackets. Always swim in a lifeguarded area. Remember that swimming safety is always important. Happy Swimming!